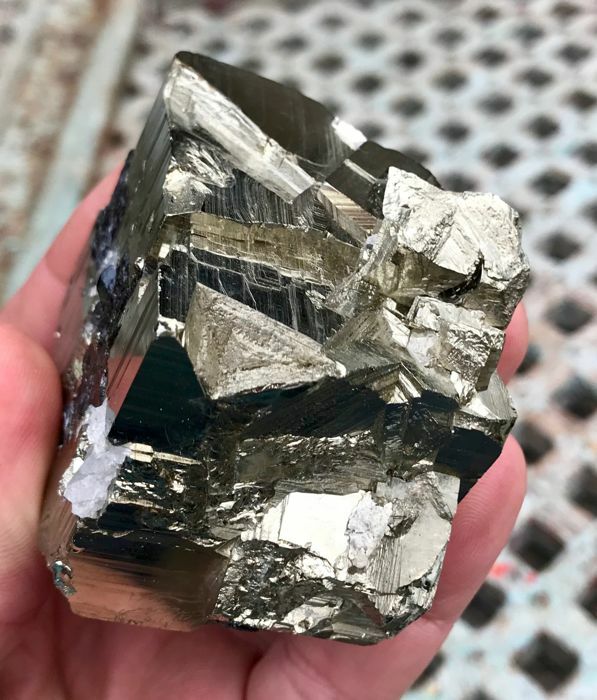 Nice piece of pyrite with beautiful brilliance and large crystals from Peru. 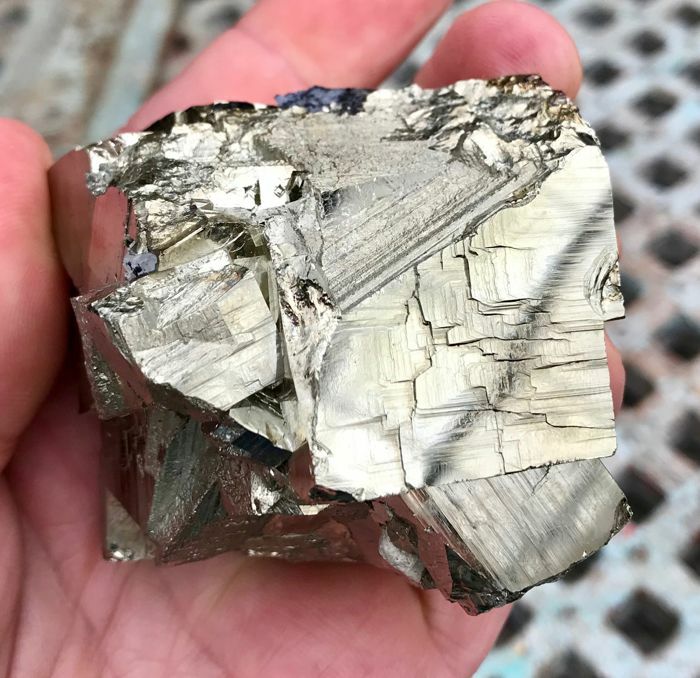 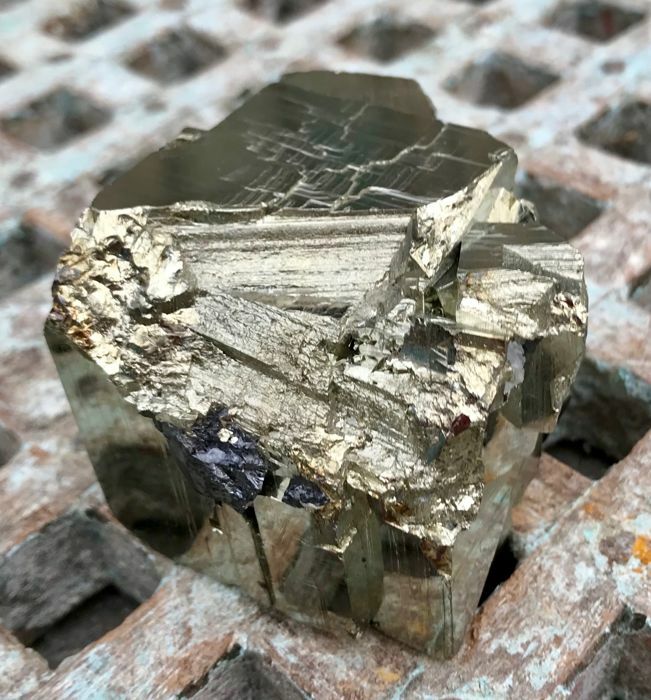 Pyrite is also called fool’s gold. 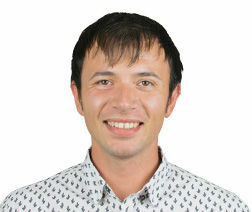 Very helpful for men who feel inferior. 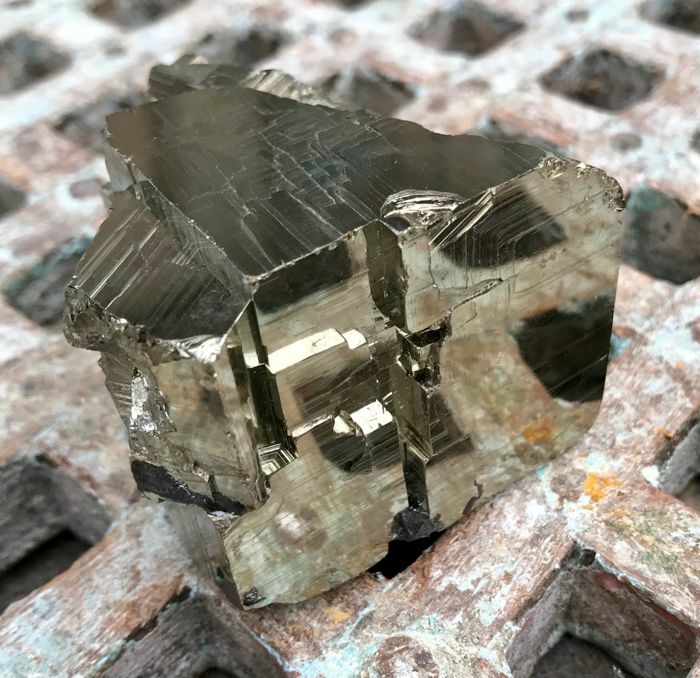 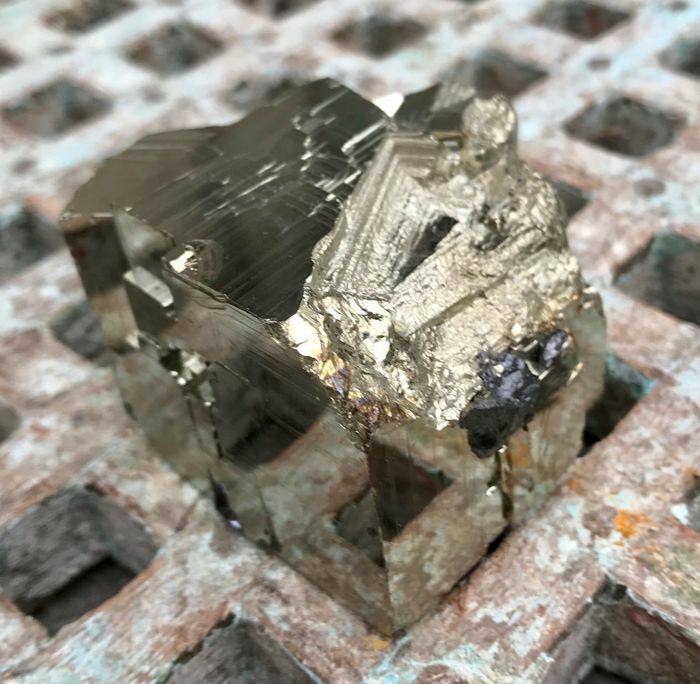 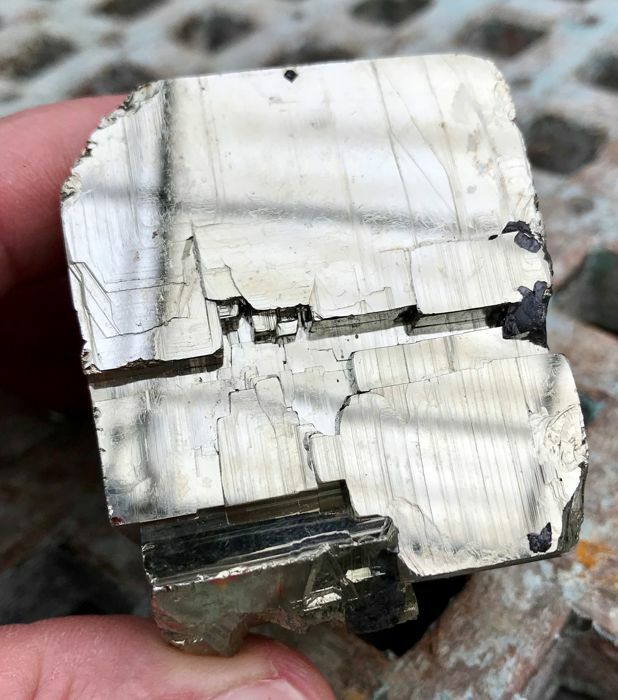 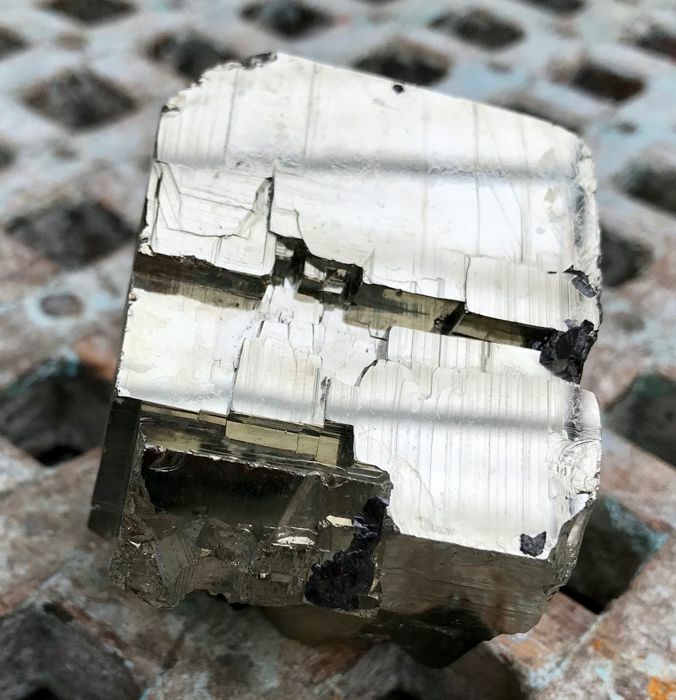 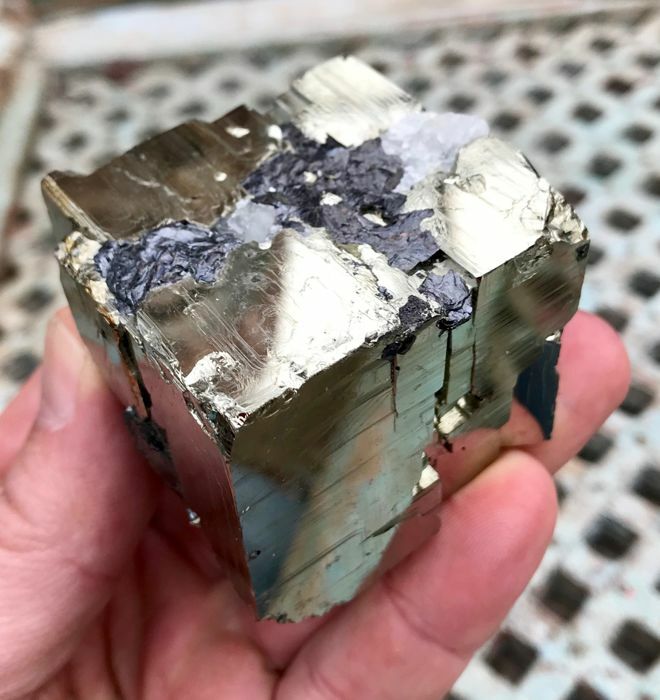 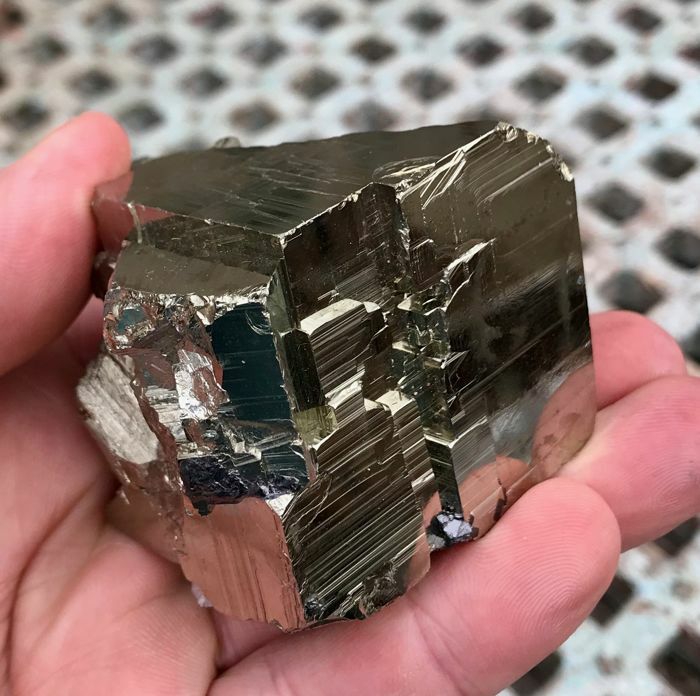 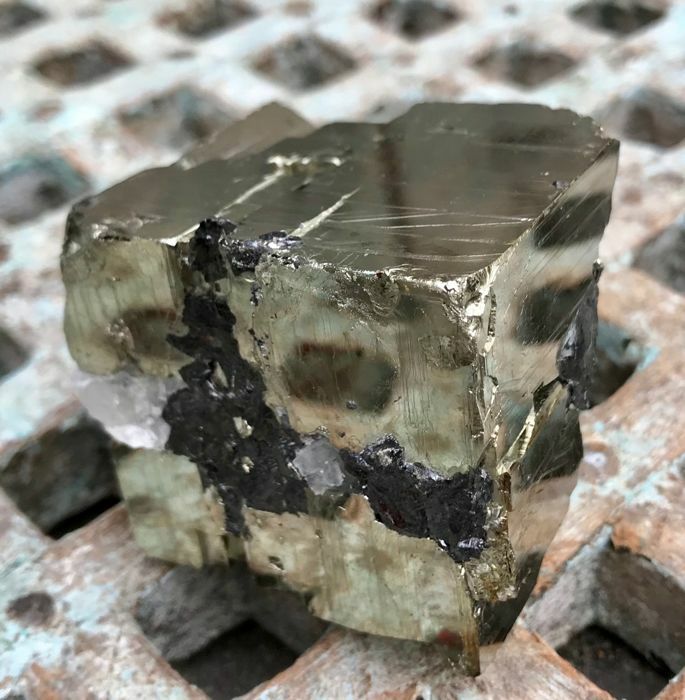 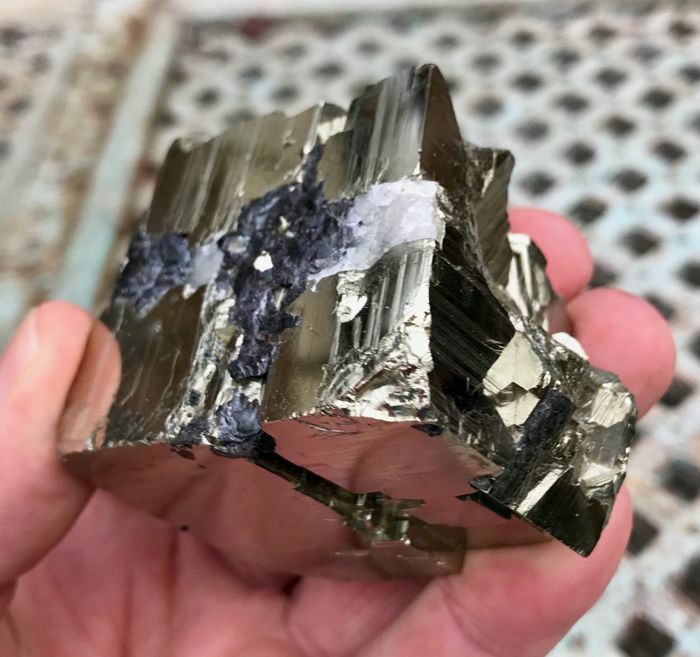 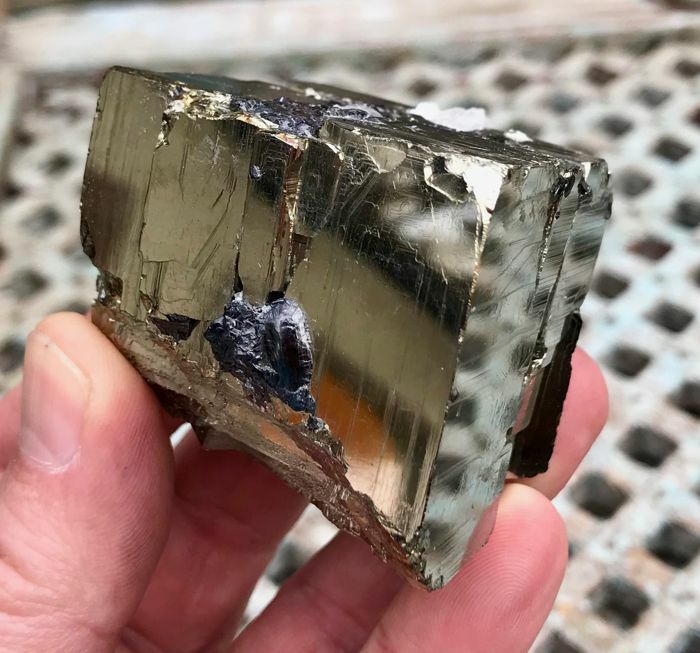 In particular Pyrite clearly shows that the crystals have grown slowly in such a way that the crystal structure at the macroscopic level is the same as at the microscopic level; huge cubical mono-crystals. 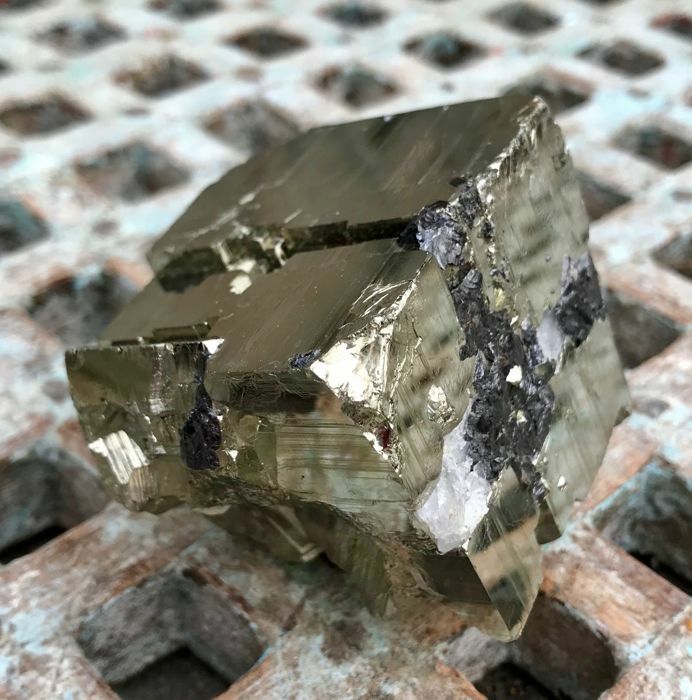 In pyrite you can see this clearly via the large cube-shaped mono-crystals. 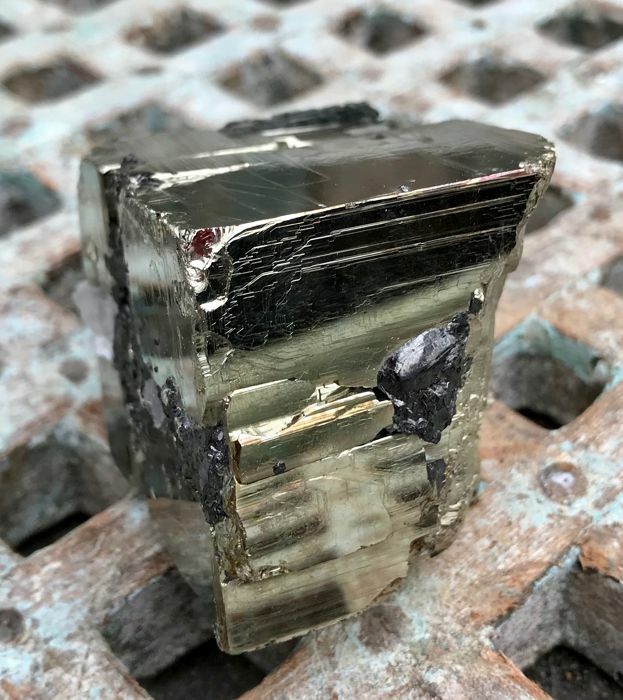 Dimensions: 5.9 x 5.5 x 4.8 cm.